80mm be quiet! 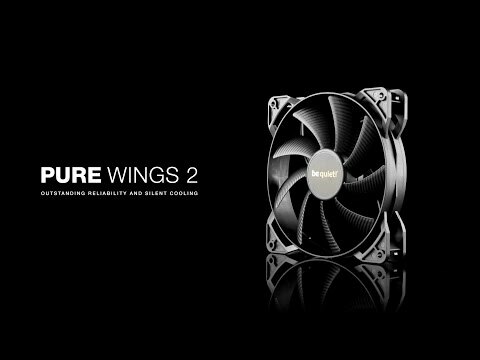 Pure Wings 2 Silent Computer Case Fan BL044 is rated 5.0 out of 5 by 2. Rated 5 out of 5 by hughas from Does what it says on the box! Nice quiet fans that were very simple to install and now function together more quietly than the single working one that they have replaced, which was getting as noisy as its former companion - that had become very noisy and long since been disconnected as a result. Rated 5 out of 5 by Raybo from Be quiet!! A great 80mm Fan - and it is quiet!! a replacement for a noisy fan in a JBOD enclosure - Air throughput is sufficient to keep 4 x SATA 3 HDDs happy. fast deliver from Scan put the icing on the cake.